As our schools are expanding, we are recruiting native English teachers and assistants. 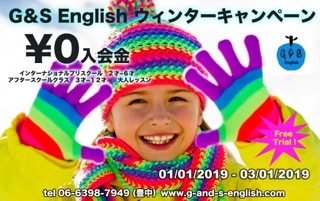 We are looking for native teachers who will give us the best possible service to our students in Osaka Prefecture and the central Osaka area who are eager to learn English. Please contact us at any time. Teaching all levels of young children in a group class environment. Teach both children and adults at a one-to-one level. Required attributes; someone who enjoys working with children, communicates well with co-workers and customers. 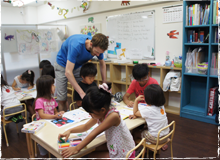 Assisting in teaching all levels of young children in a group class environment. Teaching experience or experience working with children.